So the much anticipated Apple iPhone 5 was unveiled yesterday night. Although the event was not telecast as usual due to Apple’s unknown (read: crap) policies, there were live blogs/feeds through which we could follow the event. Many tech agencies and blogs actually covered the iPhone 5 event live, thankfully. The keywords from yesterdays iPhone 5 launch event are thicker, thinner, longer and probably smarter. Non-Apple fans may not be satisfied with iPhone 5’s feature list, but the hardware sports a beast in the form of an A6 chip & iOS 6 of course. The A6 chip offers twice as fast graphics & CPU performance as the A5 chip. So it won’t be wrong to say that performance wise iPhone 5 = 2x faster than the iPhone 4S. However even Apple fans would agree that most of the features were leaked out and expected, so the surprise & wow quotient were missing. Many credit the lack of it to Steve Jobs’ absence. 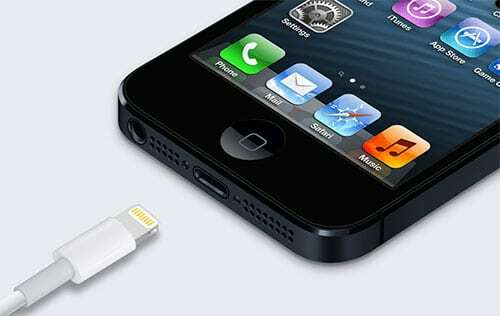 Apple iPhone 5’s battery offers up to 8 hours LTE browsing time, talktime & 10 hours of video playback. 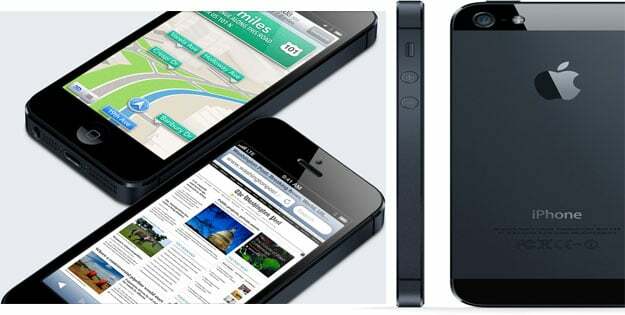 Like previous iPhone models, the iPhone 5 is available in 2 color schemes – Black & Slate, White & Silver. The iPhone 5 has 4G support as well. Apple Earpods is the new term given to iPhone 5’s in-ear-headphones. It is noise cancelling as per Apple and is “designed to direct sound into the ear”. The Earpods does look absolutely elegant with the volume keys nicely blend along with the main wire. Apple iPhone 5 comes with LTE technology which is doubly faster than the DC-HSDPA. It also sports a dual-band 802.11 n WiFi connection which can take up to 150 mbps in it’s stride. Technology enthusiasts were expecting iPhone 5 to have a superior camera (12 mp, just to compete with Lumia) than the iPhone 4S, but it comes with a 8 mega-pixel (mp) camera lens and 1080p HD recording (iSight) with some enhancements in the form of Panorama & FaceTime HD camera (front camera with 1.2 mp & 720p HD video recording). Shutter noise reduction and low-light performances have been improved in iPhone 5’s iSight camera. Maps by Apple and Siri are other features that have been slightly upgraded in the iPhone 5, although there isn’t much to look for in those features. Display 4-inch Retina display, 1136×640 pixels (326 ppi – pixels per inch), Fingerprint resistant. Camera 8 mp LED flash iSight camera, red eye detection, Panorama, 1080p HD video recording, (30 fps – frame per second), FaceTime HD 1.2 mp front-camera with 720p HD video recording (30 fps). Connectivity GSM model A1428: UMTS/HSPA+/DC-HSDPA (850, 900, 1900, 2100 MHz); GSM/EDGE (850, 900, 1800, 1900 MHz); LTE (Bands 4 and 17), CDMA model A1429*: CDMA EV-DO Rev. A and Rev. B (800, 1900, 2100 MHz); UMTS/HSPA+/DC-HSDPA (850, 900, 1900, 2100 MHz); GSM/EDGE (850, 900, 1800, 1900 MHz); LTE (Bands 1, 3, 5, 13, 25), GSM model A1429*: UMTS/HSPA+/DC-HSDPA (850, 900, 1900, 2100 MHz); GSM/EDGE (850, 900, 1800, 1900 MHz); LTE (Bands 1, 3, 5), 802.11a/b/g/n Wi-Fi (802.11n 2.4GHz and 5GHz), Bluetooth 4.0 wireless technology, 4G. Apple Earpods, Lightning connector to USB cable, USB power adapter – Included in the iPhone 5 box. Pre-ordering can be done anytime now. Release date is 21st September 2012. Release date in India would be around December 2012. For detailed specs go to their official page, I have excluded things like audio/video file compatibility, document file types, etc. I would love to hear your views on the new iPhone 5. So do drop in your comments. Next PostDoes a Local Business Really Need Its Own Website? My sister will be getting an iPhone 5 once it reaches our local Apple store. She really saved up for this! I’m really looking forward to it. Thanks for sharing!